hope is a fool’s game – until Helena finds Sam. The threat of winter overtaking the family farm in 1940 seems more worrisome than the sudden disappearance of neighbors, as twins Helena and Ruth care for their younger brother and sisters after Mama is hospitalized far away and Nazi forces edge ever-closer to their tiny Polish village. Read an excerpt free here, then find this story of love, hope, lies, and secrets to get the rest of Sam and Helena’s story. 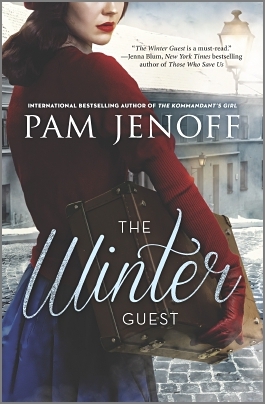 Book info: The Winter Guest / Pam Jenoff. Harlequin Mira, 2014 [author site] [publisher site] Review copy and cover image courtesy of the publisher. My book talk: After losing their parents during wartime, Helena and twin sister Ruth hold their family together. When Helena risks their safety to keep a downed Allied aviator out of the Nazis’ hands, another rash act may doom them all. Hiding near the snowy trail on one long trek to see Mama in Krakow, Helena overhears German soldiers -an Allied plane crashed nearby, and one of the airmen has survived! She finds Sam in a remote abandoned chapel and decides to help him. As his leg heals and more secrets unfold, they plan her family’s escape. But how to get food to the American when there’s little enough at home? Will Mama ever rouse from her grief and depression in the Jewish hospital? Can Ruth and Helena stay clear of the lecherous town constable and the Nazi soldiers now in their village? Bracketed by episodes of her life as an old woman now, Helena’s compelling memories of the Jewish airman whom she came to love and the terrors which invaded their village paint a vivid picture of World War II mysteries and ghosts, including Ruth’s act of treachery. The last week of summer 2014 to download free audiobooks from SYNC so you can read with your ears! 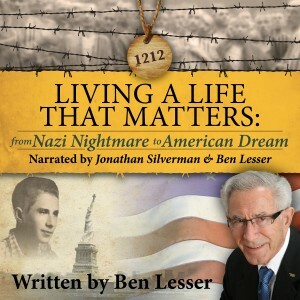 As long as you keep them on your computer or electronic device, you can listen to either or both of these complete audiobooks, if you download them by Wednesday, August 13, 2014. A Holocaust survivor urges us to stand up for our neighbors, not stand idly by and allow violence to injure anyone. 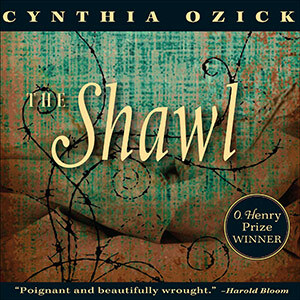 In this award-winning short story, an anguished mother in a Nazi concentration camp searches for the shawl which could bring her just-murdered child back to life. Many thanks to the publishers who allowed free downloads of their noteworthy audiobooks this summer through AudioSYNC. Thirteen weeks, 26 great audiobooks – which was your favorite title? Shh… Sneak-in Saturday has a double meaning today, as we consider an adult book that snuck itself into teens’ hearts and then snuck onto numerous award lists before I could blog about it. 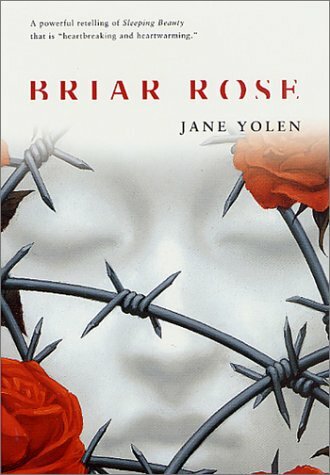 Originally written as a novel for adults, Briar Rose won the Mythopoeic Fantasy Award for Adult Literature in 1993, but gathered such a following among older teen readers that it was re-released as a Tor Teen paperback in 2002. Memories of less-often told stories of the Holocaust spill into the present day as Becca tries to carry out her grandmother’s last wishes on a trek to Poland that becomes a heart-wrenching journey into the hellish days of World War II. A strong, faithful book that reminds us that history’s headlines are not the only important stories. Recommendation: Becca always loved her grandmother’s story about Briar Rose, no matter how many times Gemma told it to her and her sisters. The princess, the black-booted witch’s curse, the mist that covered the kingdom and made everyone sleep for a hundred years… not the same Sleeping Beauty story that you heard or read in books. Years later, grown-up Rebecca promises her elderly grandmother that she will find out the rest of the story. Upon Gemma’s death, she inherits a small box of photos and papers – clues to the past and the rest of the Briar Rose story that journalist Rebecca must uncover. From research to refugee camp, Becca traces Gemma’s mysterious arrival in the United States from Europe in the closing days of World War II. The path leads back to a Nazi extermination camp in Poland, not a concentration camp, but a place so deadly that only 4 men ever escaped… and no women ever left it alive. Why does Gemma’s paperwork say that she came from that place of death? Is she the princess of Briar Rose? 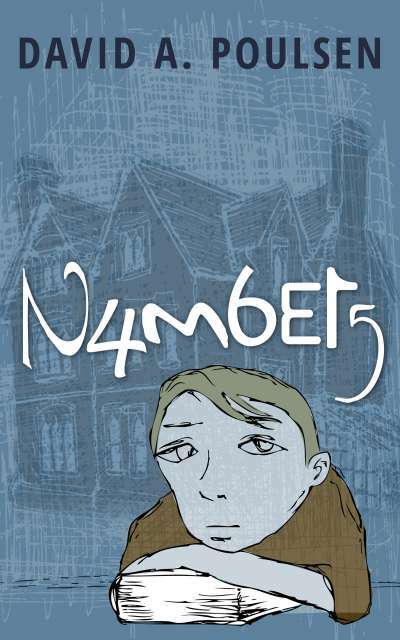 How can Becca find her family’s roots when no one in Chelmno will talk about the camp? 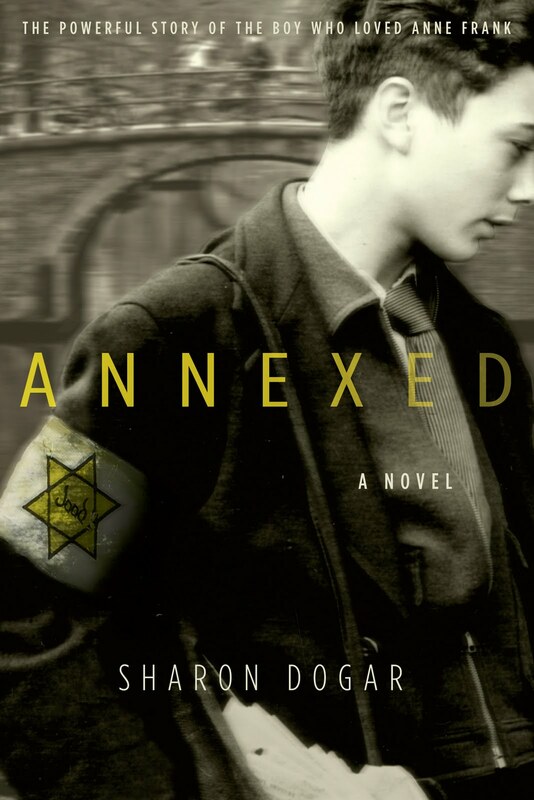 A powerful retelling of Sleeping Beauty that explores the brutal depths of the Holocaust. (One of 5,000 books recommended on www.abookandahug.com) Review copy courtesy of the publisher.